Don’t miss the latest promotions offer by Hotel Ramada Plaza Melaka on Traveloka - our favourite travel buddy in Southeast Asia. Are you ready for the upcoming long holiday? Set in the heart of Malacca, Hotel Ramada Plaza Melaka located near Jonker Street Night Market and Red Square (aka Dutch Square). Book your stay at Ramada Plaza Melaka with Traveloka whereby they offer 294 rooms, all with spectacular views. The remarkable view of the ocean and river simply pleasure your dream vacation. There are 17 suites with separate living areas - perfect for a family staycation, plus 40 club rooms with full Ramada Plaza Club service. Pamper by their top notch first class services delivered from the hotel management to you. Book your stay today and find more nearby places around Ramada Plaza Hotel right here on Traveloka. There are also other nearby residences that you might find interesting in Traveloka’s official homepage too! Besides a comfortable and luxurious stay at Ramada Plaza Melaka, you would not want to miss the food part. What could be better beside than food, right? Aside from the delicious breakfast and meal provided at the hotel, there is also amazing cuisine you can enjoy nearby. Let’s go for a food tour! Located at Jalan Bendahara, right along Ramada Plaza Melaka, this hype atmosphere restaurant will give you the ultimate dish for the day. It displays Peranakan-style dining with smaller portions BUT with more options to choose from, such as Asian, Malaysian, Vegetarian and Vegan cuisine. It entertains all diet varieties. Bulldog serves lunch and dinner, so, you can stick to the breakfast at the hotel which is equally satisfying. 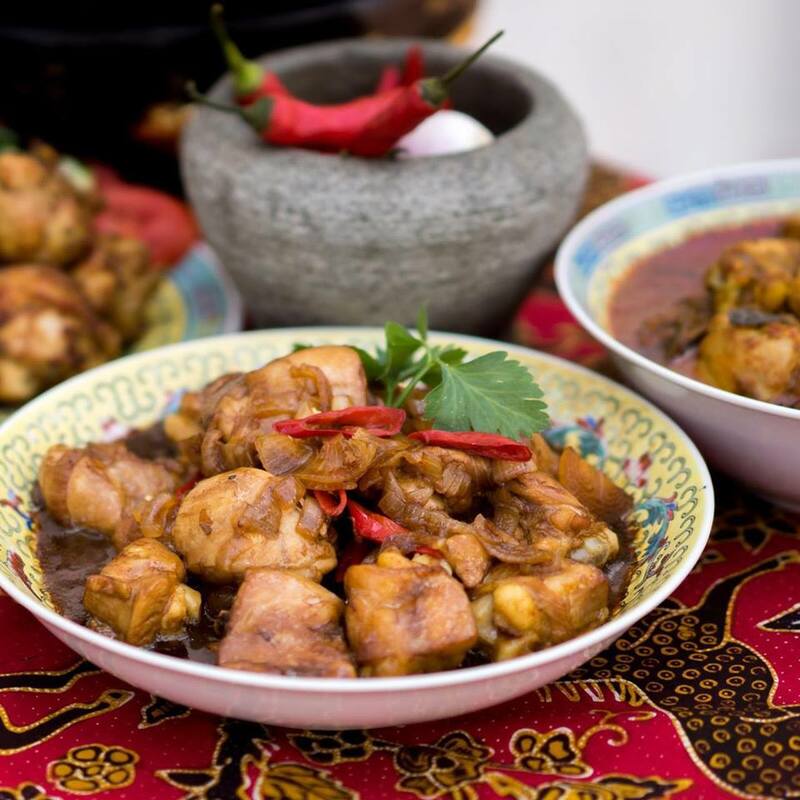 Located only 0.1 km from the hotel on Jalan Bunga Raya, Manis J Nyonya is highly recommended. The reviews are positive and you would not want to miss the deal. 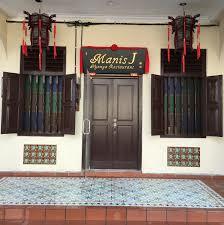 Manis J Nyonya prepares Asian, Malaysian and Vegetarian cuisines. This restaurant provides meals for lunch and dinner. So, don’t go knocking on their door for breakfast. Aside from dining in, the restaurant also features takeout, reservations, seating and wheelchair accessibility - it caters to all type of situation preferred by the customers. Price ranging from RM 21 to RM 43, this theme café located not far from the hotel; walking distance 0.1 km away. It is situated strategically at Jalan Bunga Raya Pantai - giving you another fine place to dine throughout the day. It provides Chinese, Asian and Malaysian cuisine for breakfast, lunch, and brunch. A vegetarian-preferred customer might have to check the menu to ensure the cooking suits your diet. Enjoy the scrumptious home cook dishes that will satisfy your appetite. A great review by the traveller regarding Kiran’s Delight Restaurant. The restaurant is quite near to the hotel, only 0.1 km from the hotel along Jalan Munshi Abdullah. It’s located between Emperor Hotel and Accordian Hotel. The restaurant is very clean, well-kept and the food is delicious. Vegetarian dish are also provided but it is quite limited, so, you have to keep an eye out when picking out your menu. 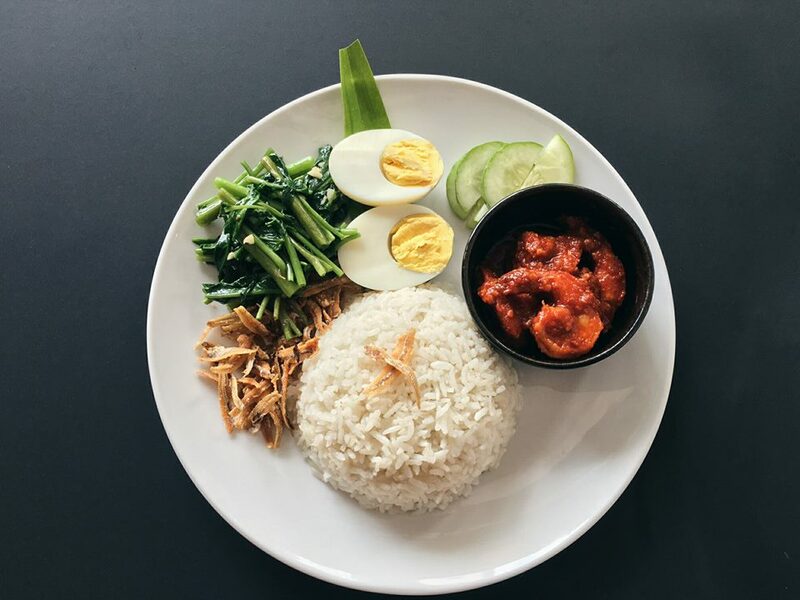 Customers are presented with the best of Asian cuisine in Malacca whereby they offer delicious breakfast and dinner. Dinner needs to make a reservation first to avoid disappointment and the mansion does serve alcohol. The environment is very romantic, peaceful and comfortable for formal greetings or gets together. It’s the perfect place for some quality time with the family and friends. 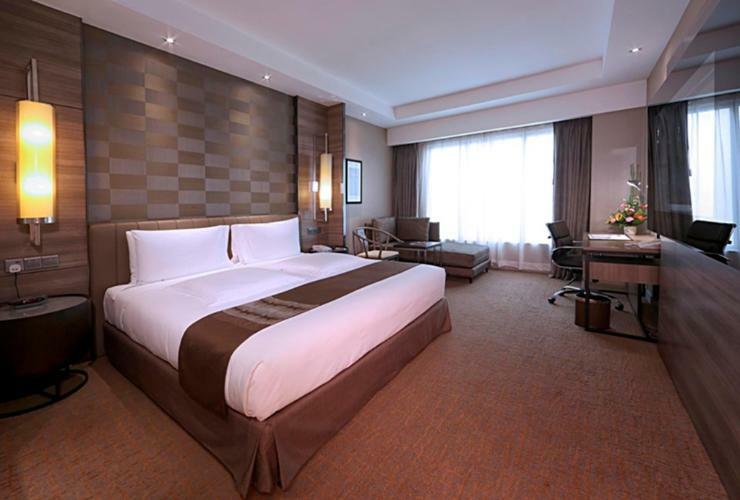 Situated along Jalan Bendahara Ramada Plaza Melaka that placed only 0.1 km from the hotel. It has been awarded as the Top Ten HAPA Restaurant of The Year and All Day Dining Restaurant for 2010-2012. It provides daily breakfast, lunch, and dinner including themed buffet dinner on Thursdays till Saturdays with a lovely brunch on Sundays. You are bound to go for seconds and thirds when dining at this restaurant with your family and friends. Grab the best price offer for Ramada Plaza Melaka on Traveloka now as you won’t want to miss the irresistible deal. Booking using Traveloka make your travelling more convenient and easy. It’s time to spend some quality time with your family and friends - Melaka ain’t such a bad place to go have fun!